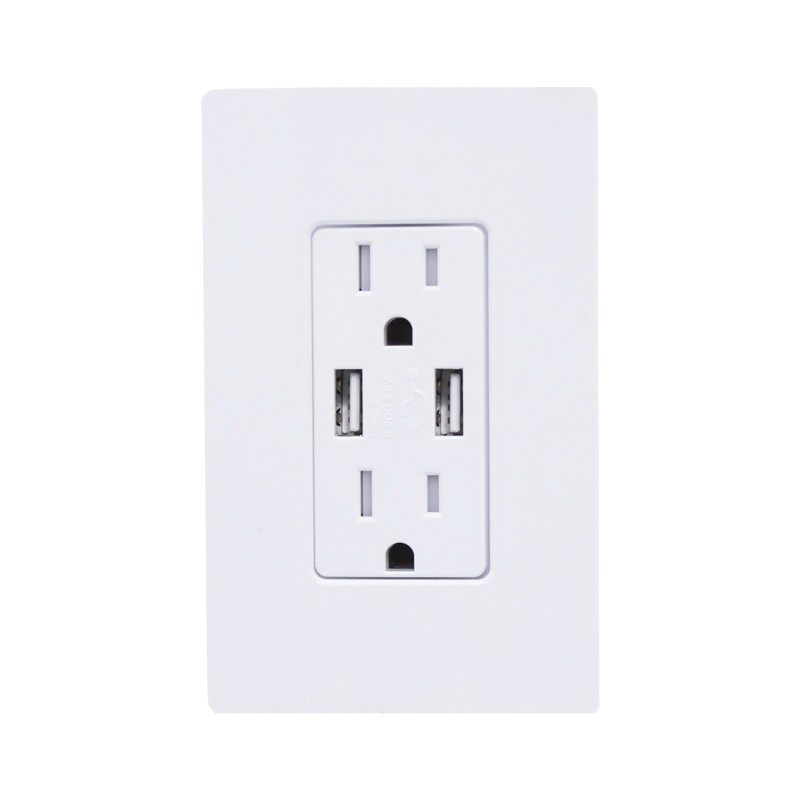 Lutron Claro® Tamper-resistant dual USB with receptacle, has durable gloss finish. It operates at a voltage rating of 125-Volts, current rating of 15-Amps, temperature rating of 32 to 104 deg F and frequency rating of 60-Hz. It is suitable for Lutron® dimmers. The dual USB with receptacle, meets UL498, UL1310 and ISO 9001:2008 standards.